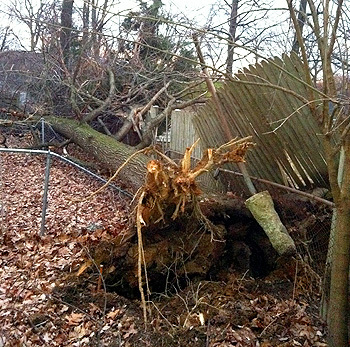 Hurricane Sandy seems to have left Virginia with less devastation than feared. Nevertheless, the storm caused lots of trees to fall completely and also left others in a damaged and potentially hazardous state. If a downed tree is near wires, stay away. Never remove trees, limbs or anything else that are near or touching a downed wire.